Right, hopefully now we’re only in the presence of OITNB superfans, and we can reveal that Samira Wiley has the most AMAZING new role! Following her character’s departure from the Netflix prison series, Samira will be joining the cast of Hulu’s upcoming adaptation Margaret Atwood’s dystopia novel, The Handmaid’s Tale. The news was broken by The Hollywood Reporter, who noted that Samira had signed up for the 10-episode adaptation, expected to air in 2017. Earlier this year, it was also announced that Elizabeth Moss from Mad Men would be taking the lead role of Offred in the adaptation. Atwood’s novel takes place in the near future in a dystopian totalitarian theocracy where fertile women are forced to become concubines to help repopulate a world that has been hit by declining birthrates. Moss’s character, Offred, has to navigate this complicated world, while trying to find her birth daughter, who was stolen from her during the rise of the current regime. Exciting stuff! According to THR, Samira will play the role of Offred’s friend from college, who trains to become a handmaid with her. The adaptation is being created, executive produced and written by Bruce Miller (The 100) with Daniel Wilson, Fran Sears and Warren Littlefield (Fargo) serving as executive producers. 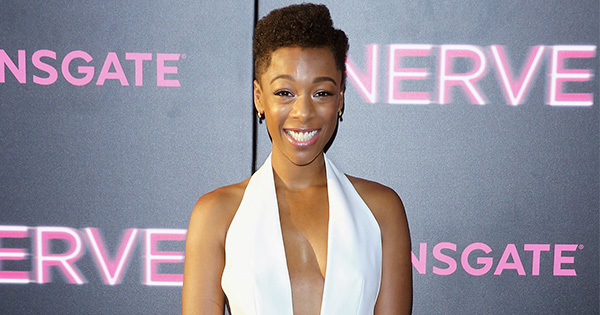 We’re SO excited to see Samira Wiley back on our screens, aren’t you?